This rare 1920s Humber has recently emerged from long-term dry storage. 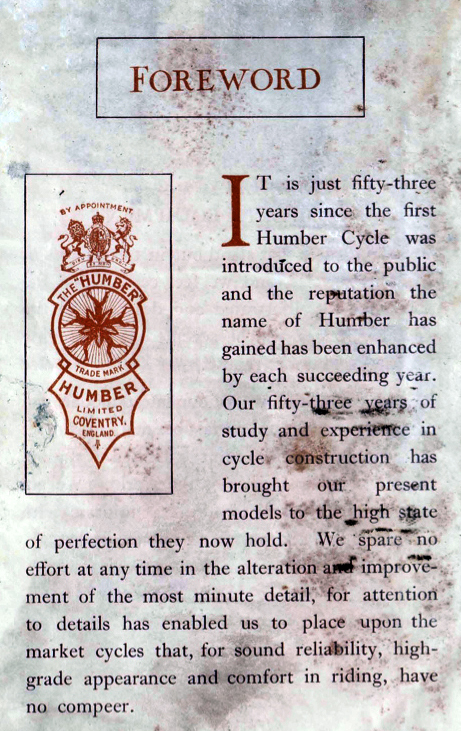 It is in excellent ‘time-warp’ preserved condition, with its original Humber transfers intact, faded nickel handlebars and fork-tops and ornate Humber ‘H’ lamp-holder. The rear carrier rack appears to have been fitted from new, and a wicker basket is attached to it with a leather strap. The string dress-guard is brittle and broken in places. The leather saddle is comfortable and in good condition apart from a small tear (pictured). The paintwork retains some of the original box-lining. It still has its original handlebar grips. Tyres and tubes are good. Mechanically serviced and ready to ride. As I’m sure you’re aware, most ebay sellers would strip a bike like this to make a greater profit selling its parts. I do the opposite – I buy the parts to bring bikes back to life so they can be used again. Luckily, this particular one was intact when I bought it: I prefer it to be preserved just as it is, its fading glory illustrating a time when Great Britain’s engineering prowess ruled the world. 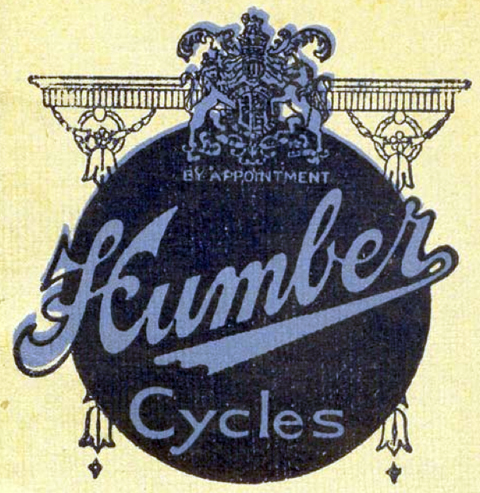 Humber made bicycles for the Royal Family and represented the ultimate in quality …which is why, ninety years later, this ‘Humber Popular No 6’ is in the same first class mechanical condition as the day it left the factory. This charming 1920s Humber ‘Popular No. 6’ is in very good unrestored condition. 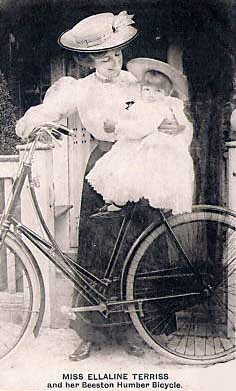 It’s the type of bike that would have been favoured by the district nurse to do her daily rounds. This one has been fitted with a basket on the rear carrier to maximize its carrying capacity. 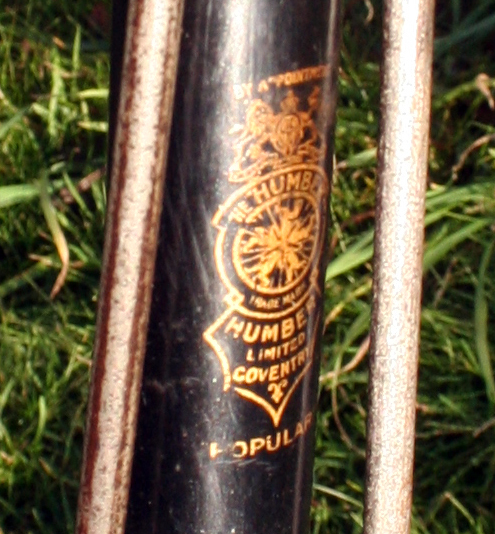 Humber’s distinctive ‘Wheel of Life’ chainwheel is clearly displayed, above; the Humber head transfer (below) is in excellent condition. 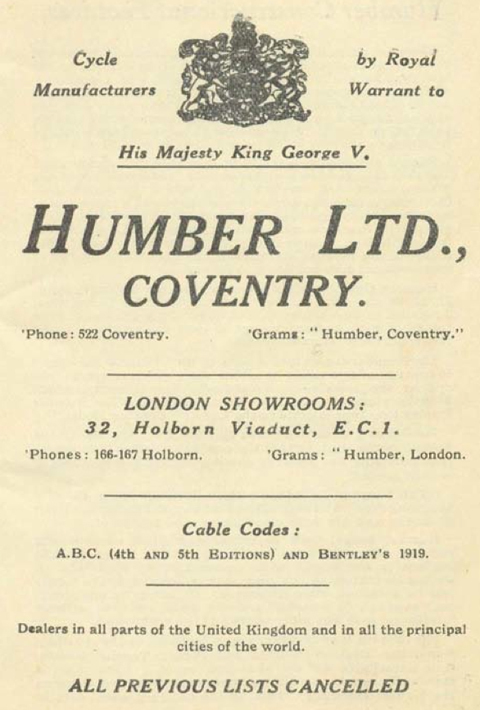 The details above and below are from the 1921 Humber catalogue. 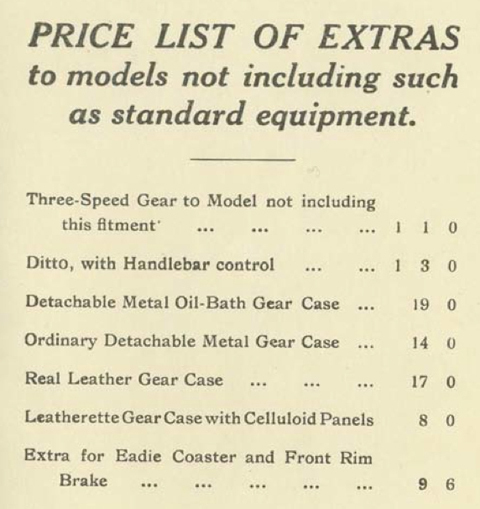 The rest are from the 1925 catalogue. 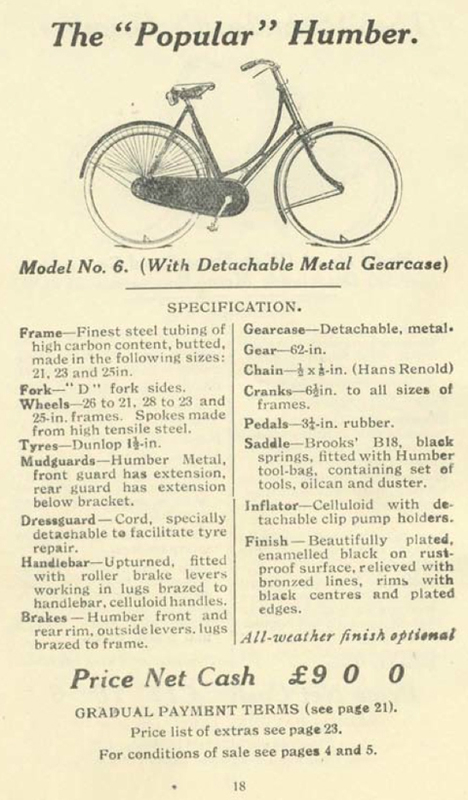 As you can see from the catalogue detail, the gear case is detachable on this model. 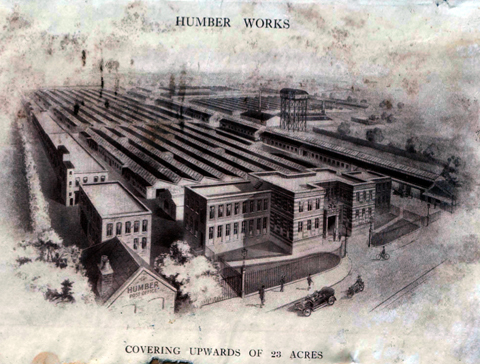 This actually gives us the opportunity to see the distinctive Humber chainwheel design.